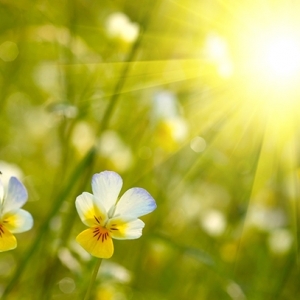 Kathryn Herbert, YogaFit®'s Master Trainer of Ayurveda breaks down some simple tips to usher in the beautiful new Spring season. It is a joy to be writing to you as the signs of the new Spring season begin to appear. Spring is a time of renewal, rebirth, growth and creation. Most people feel this is the best time to clean the home of stale dirt left from Winter and clear out old items to make room for the new. 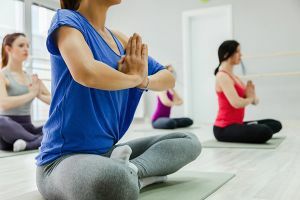 In the same way, the Yogic practice of an Ayurvedic Lifestyle marks the emergence of Spring as a time to clear the MIND and cleanse the BODY; the house of the SOUL. Spring is the season of kapha dosha which is born from the elemental union of water and earth to create a place of growth. This makes perfect sense because in order to sow the seeds to reap the intended harvest, we need to earth nourished by water to create an environment to support growth. But what happens if the earth is not well drained and it accumulates too much water? 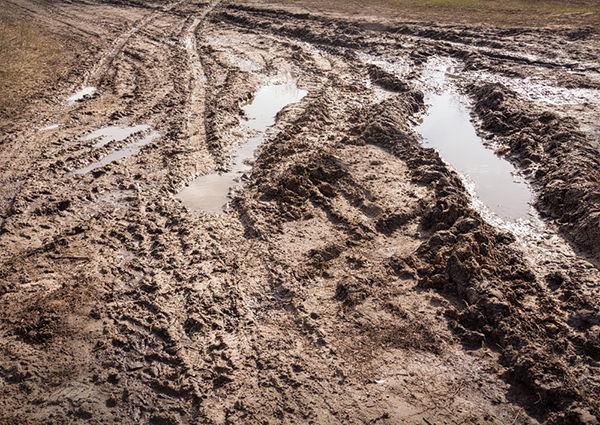 Our seeds of change are washed away and we are left with pools of thick and sticky MUD. Much the same way, an excessof water left in the earthiness of the body produces thick and sticky pools of congestion, mucuous and fat as a result of kapha accumulation. Stagnant kapha dosha causes mental inertia, dulls the senses and slows mindful intentions. It creates a physical place to grow bacteria, viruses, yeast, parasites and fat build-up as it functions in the mouth, lungs, stomach, lymph, pancreas, brain and reproductive organs. How can you clear this stagnation? The ancient Panchakarma cleansing method of Vamena involves taking emetic herbs to directly purge the sites of kapha, but please don't try this at home! Serious complications can arise; the practice is illegal in North America due to inherent risks. A 24 hour FULL FAST, a 3-7 day FRESH JUICE only fast, or a 7-10 day MONO-FOOD fast are great ways to clear the stomach and reset digestion for healthy tissues throughout the body. 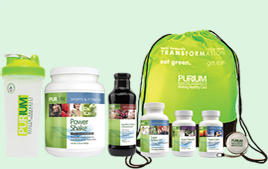 We love Purium products because they take the guesswork out of transformational fasting. If you are not already a Purium member, use code: 1MAHAT to receive a $50 gift certificate today. 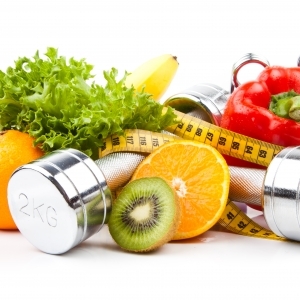 Phase out the heavy, sticky foods of Winter that have a sweet taste to them like grains, meat, dense vegetables and pulpy fruits. Minimize sugar and salt as these foods hang onto toxins in the system causing food addictions. Favor foods that are bitter, astringent and pungent in taste. Things like spring leafy greens, sprouts, baby vegetables, lentils, beans and berries work to clear kapha dosha and are typically underrepresented in the Standard American diet. Season your food well with fresh leafy herbs, freshly ground pepper and cayenne. Here are a few of YogaFit's favorite picks for the season to address common symptoms of kapha accumulation and clear conditions. LICORICE increases healthy phlegm to clean out sticky clogged mucus that brings on cough, sore throat and bronchitis caused by bacterial overgrowth or virus. It supports stomach lining. Studies show that naturally occurring glycyrrhizic acid in licorice suppresses H.pylori bacteria to mitigate peptic ulcers. Too bad the health benefits won't come from just eating black jellybeans —you need the root of the licorice plant (glycyrrhizic glabra). Good thing is that ground licorice powder is readily available. It has a lovely taste and is safe even for small children. ​​CLOVE is antiseptic. It kills parasites and helps control candida, fungal and bacterial growth. The natural occurring Eugenol inhibited COX-2 proteins that spark inflamation in recent labroratory studies. Clove oil has clinical success with killing certain bacterial strains resistant to antibiotics. Give your mouth a good cleaning by brushing with this homespun mix to whiten and brighten teeth and sanitize under the gums. Mix well, brush well over teeth and gums, rinse and spit out. 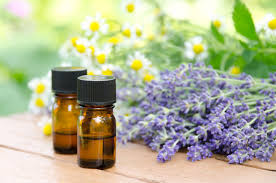 ​Click here to email us and receive more information about the essential oils recommended by YogaFit®. 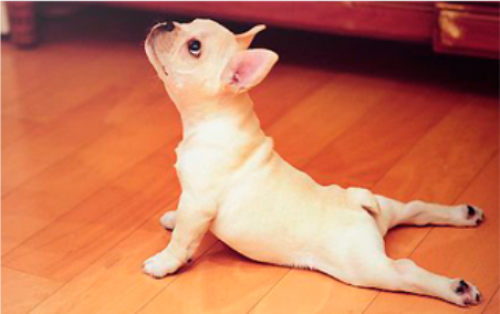 Or email edu@yogafit.com. GINGER is the stuff that made wintertime gingerbread so yummy and is available in any grocery store as powder or fresh root in the produce department. Ginger has many unique properties making it an excellent anti-inflammatory medicine. It is a bronchodilator to clear coughs and congestion, and reduces muscle pain and soreness associated with flu symptons or an aggressive workout. Its special qualities reach even the deepest bodily tissues to soothe menstrual cramps and migraines. Ginger inhibits enzymes in carbohydrate metabolism to improve lipid profiles and burn fat. It is beneficial to all matters of digestion and works instantly to negate nausea. It is safe to use for small children during pregnancy to relieve morning sickness. Add it to your food to help carry the beneficial nutrients of what you eat out to the tissues, or make Ginger Tea to immediately soothe symptons of what ails you. 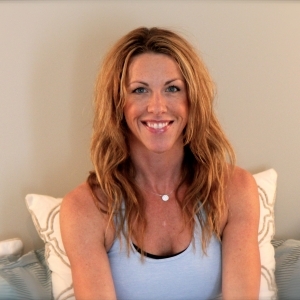 Join me, Beth and the May flowers for our super Spring in Pacific Grove, CA for the NEW YogaFit® Ayurvedic Lifestyle Coaching Certification to deepen your knowledge and develop techniques for helping others. Click HERE for more details. Read Kathryn's Full BIO HERE.